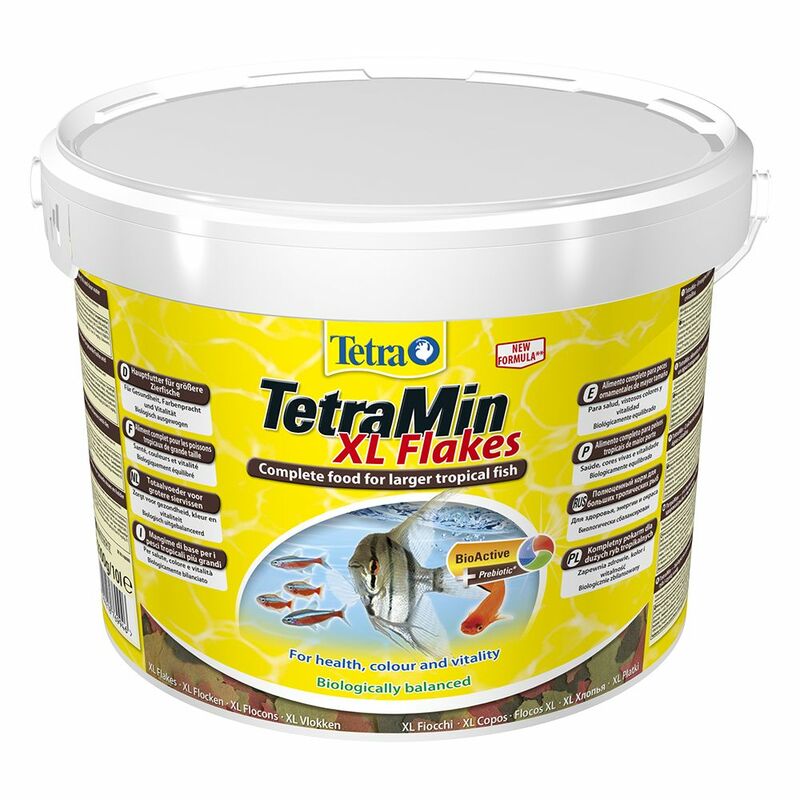 TetraMin xL Flakes with its extra large flakes is ideal for larger tropical fish and their larger mouths. The flakes contain all the nutrients, vitamins and trace elements that ornamental fish need for a balanced diet. The use of the 40 different ingredients in this fish food afford a high degree of acceptance amongst all tropical fish. It contains the patented BioActive formula - for the long and healthy life of your fish. TetraMin xL Flakes at a glance: Large flakes for all tropical fish with large mouths Contains over 40 specially chosen ingredients Flakes float and disperse, allowing fish to feed naturally Well received by all types of aquarium fish Promotes well-being, natural colour and growth With the patented BioActive formula - for the long and healthy life of your fish TetraMin has served as a biologically balanced main feed for 55 years and supports health, vitality and colour in all tropical fish.